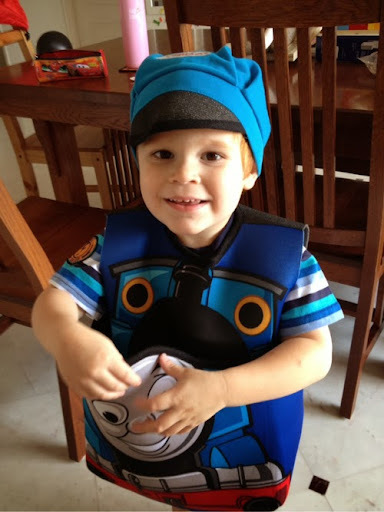 We have one excited Thomas the Train this Halloween! The front pocket is a HUGE hit! 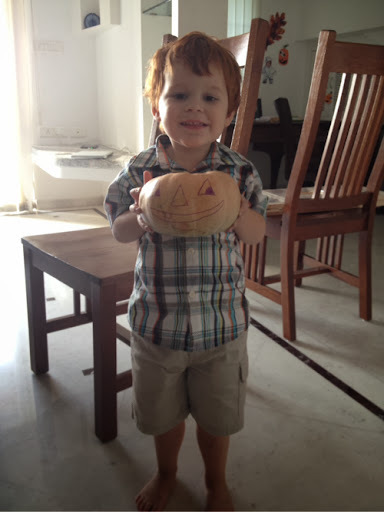 Harrison was so excited to find a pumpkin at the grocery store on Sunday afternoon. 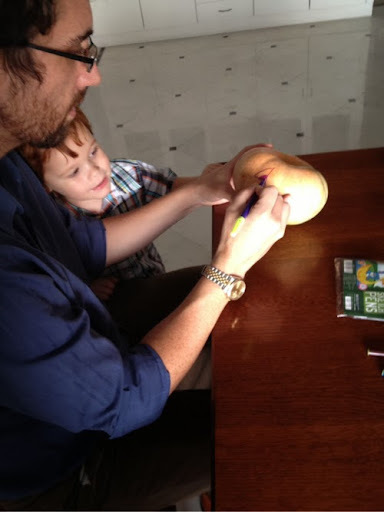 He held on tightly all the way home and decided having daddy draw a face on the pumpkin was best "so it will last longer." 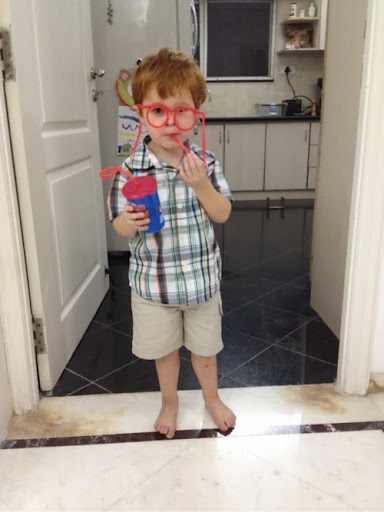 With a little help from Aunt Jenny's straw glasses!